" Exodromos " is a fuzzy murk of downtuned guitars overdriven to near obscurity, vague bass rumbles, Phlegeton’s unique vocal gurgles, plus the real standout element of the music, Andy C.’s jazz-inspired drumming. He blasts his way through much of the album and slows the tempo down for off-kilter slams here and there, and his playing is always peppered with odd fills that are much more dynamic than the average brutal death metal drummer. And sometimes, he plays a syncopated beat at an unexpected moment, which adds to the uniqueness of this record. memang persembahan luar biasa masih kembali ditawarkan oleh salah satu band Brutal/Technical Death Metal asal Madrid, Spanyol yang paling banyak diperbincangkan Konsep bermusik dasyatnya. bahkan untuk materi Full terbaru kali ini semakin kian Jahanam siksaan yang mereka berikan ! setelah sebelumnya mengenalkan Ep " Quasineutrality ", Wormed kali ini bagi gw benar2 memberikan persembahan yang LEBIH LIAR lagi ! fast passages shred, the slam parts are knuckle-draggingly heavy, the weirdo psychedelic bits pop up for a few seconds here and there to keep the listener on his toes !!! sebuah Progresi bermusik yang semakin luar biasa memang begitu terasakan dialbum ini pokoknya, track awal " Nucleon " dimulai dengan sedikit sampling intro dan kemudian Siksaan gila menerjang ! amazinggg !!! ini seperti perpaduan antara Cryptopsy banget dengan Gaya Guttural Vokill Brutality ala Band2 Hyperblasting ! gaya Riffing Konvensional lebih terasakan Pola2 bermain " Freak " dan mengarah ke sentuhan Mathcore tentu menjadi tantangan tersendiri buat gw mencerna Kedasyatan matematika Konsep bermusiknya. merge the style and complexity of technical death metal with brutal death metal heaviness, all shrouded in that mysterious space dust that coats the production of the whole album. The riffs twist in and out of standard time signatures, creating an unpredictable atmosphere where the listener can always expect volatile shifts. " The Nonlocality Trilemma " tentu semakin Gila menerjang dentuman maut drummer Riky yang pernah memperkuat Barisan Avulsed baru terasa sekali Skill kemampuannya di Wormed ! permainan drumnya memang Bak Orang " Kesetanan " aja ! duet Gitaris Migueloud dan J.Oliver tentu lebih menjadi Fokus utama kegilaan selanjutnya menciptakan komposisi Riffing yang ga masuk akal banget dan susah ditebak Referensi-nya, gw jamin Fans Cryptopsy era " Whisper Supremacy " dan " And then Beg " bakalan menyukai karakter seperti Wormed ini. the guitars are where things start to get stranger. Despite possessing a tone that is extremely lo-fi and fuzzy, rendering most notes incomprehensible, they manage to put out some devastating, off-kilter riffs. There’s also a lot of variety too: a mangled breakdown is the centrepiece of Ylem, and there’s an almost uplifting black metal tremolo sequence in the middle with its ridiculous tempo changes and frenetic, mind warping riffs. Like the electrons they enjoy talking about, their songwriting is random and chaotic, so they hardly repeat a part more than four times. This sense of randomness is further enhanced by the drumming, which switches from blastbeat to groove to to d-beat to hit-as-many-cymbals-as-you-can spazziness in a matter of seconds. The drums (along with the vocals) are louder than the guitars for the most part, resulting in a poorly balanced and rather amateurish mix. In fact, everything about this album pretty much reeks of amateurishness. musiknya memang serba Komplek dan dinamis untuk gw cerna secara seksama, sehingga Kembali gw serahkan kepada kalian Maniaknya Gaya bermain Cryptopsy aja. sound produksi sound album yang Maksimal hasil garapan Carlos Santos yang sudah sukses menggarap album2 keren band spanyol sebelumnya memang terus menambah nilai maksimal rilisan ini terdengar berbahaya dan semakin diperbincangkan ! tema2 tentang Angkasa luar, Evolusi manusia dan Modern lainnya masih menjadi Komposisi Utama penulisan lirik bagi vokalis Phlegeton yang membuat semua beberapa Spesial Effect termasuk Desain Cover album ini. 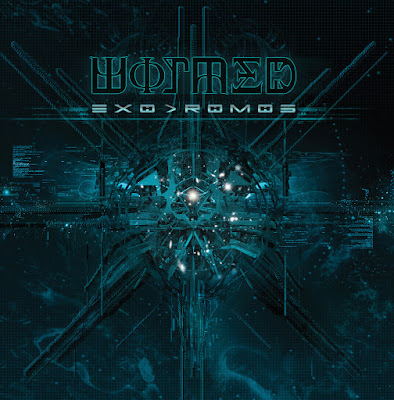 Ruthlessly unrelenting, blasting with the constancy of a perpetual supernova, and pounding out a varied set of primitive death metal riffs, “Exodromos” offers up an unusual dichotomy that most similar sounding bands tend to not suffer from. The overall sound rages with all the extremity of the most obnoxiously vulgar brutal acts around, yet the musical presentation has a slightly progressive tinge to it in spite of its formal simplicity, and the lyrics are quite a mind trip for anyone expecting the usual foray of gore and toilet humor. In spite of the band’s name, which would suggest a multitude of possible disgusting references to purging a human/animal’s digestive tract of some parasite, this is a highly intellectual endeavor that focuses heavily on biochemistry and astronomy. Fans Brutal Death Metal Komplek dinamis super Rumit ?? Tunggu apa lagi deh ? SIKAT ALBUM INI SEGERA !!! BUY OR DIE if you feel like it; otherwise don't worry because you can probably live without this. "Exodromos" is a fuzzy Murk of downtuned guitars are overdriven to near obscurity, vague bass rumbles, gurgles Phlegeton's unique vocals, plus the real Standout element of the music, Andy C. 's jazz-inspired drumming. He blasts his way through much of the album and Slows the tempo down for off-kilter slams here and there, and his playing is always peppered with odd fills that are much more dynamic than the average brutal death metal drummer. And sometimes, he plays a syncopated beat at an unexpected moment, roomates adds to the uniqueness of this record. indeed remarkable offerings are back at one of the band Brutal / Technical Death Metal origin Madrid, Spain the most widely discussed concept of musical dasyatnya. Full new material even for this time getting more and hell torments they provide! after introducing Ep "Quasineutrality", this time for gw wormed benar2 offerings MORE WILD again! fast passages shred, the knuckle-slam draggingly parts are heavy, the weirdo psychedelic bits pop up for a few seconds here and there to keep the listener on his toes!!! a musical progression the more remarkable was that it felt dialbum substantially earlier track "Nucleon" sampling starts with a little intro and then braved the crazy ordeal! amazinggg!!! Cryptopsy is like a mix between the style really Guttural Brutality Vokill Band2 Hyperblasting style! more conventional style riffing felt Pola2 play "Freak" and leads to touch mathcore certainly a challenge for mathematics Kedasyatan digest gw musical concept. merge the style and complexity of technical death metal with brutal death metal heaviness, all shrouded in that mysterious space dust that coats the production of the whole album. The riffs twist in and out of standard time signatures, creating an unpredictable atmosphere where the listener can always expect volatile shifts. "The Trilemma nonlocality" of the Crazy crashing deadly thump of drummer Riky strengthen Barisan avulsed've only felt once Skill abilities at wormed! The drum is Bak game "crazy" ONLY! Guitarist duet Migueloud and J.Oliver certainly be a major focus over the next frenzy creates compositions that ga riffing very reasonable and his unpredictable references, i guarantee Fans era Cryptopsy "Whisper Supremacy" and "And then Beg" wormed going to love characters like this . the guitars are where Things start to get stranger. Despite possessing a tone that is extremely lo-fi and fuzzy, rendering most incomprehensible notes, they manage to put out some devastating, off-kilter riffs. There's also a lot of variety too: a mangled breakdown is the centerpiece of ylem, and there's an almost uplifting black metal tremolo sequence in the middle with its ridiculous tempo changes and frenetic, mind warping riffs. Like the electrons they enjoy talking about, their songwriting is random and chaotic, so they hardly repeat a part more than four times. This sense of randomness is further enhanced by the drumming, roomates switches from blastbeat to groove to to d-beat to the hit-as-many-cymbals-as-you-can spazziness in a matter of seconds. The drums (along with the vocals) are louder than the guitars for the most part, resulting in a poorly balanced and rather amateurish mix. In fact, everything about this album is pretty much reeks of amateurishness. his music is complex and dynamic department to carefully digest gw, so i leave it to you guys back playing style Maniaknya Cryptopsy wrote. sound production sound stewardship album Maximum Carlos Santos already successful Spanish band worked Albums2 cool before it continues to add value to the maximum release sounds dangerous and increasingly discussed! tema2 about outer Space, Evolution and Modern humans are still a Main Ingredients Phlegeton writing lyrics for vocalists who made all some Special Effects including design of this album cover. Ruthlessly unrelenting, blasting with the constancy of a perpetual supernova, and pounding out a varied set of primitive death metal riffs, "Exodromos" offers up an unusual dichotomy that most Similar sounding bands growing niche to not Suffer from. The overall sound rages with all the extremity of the most obnoxiously vulgar brutal acts around, yet the musical presentation has a slightly progressive tinge to it in spite of its formal simplicity, and the lyrics are quite a mind trip for anyone expecting the usual foray of gore and toilet humor. In spite of the band's name, roomates would suggest a multitude of possible disgusting references to purging a human / animal 's digestive tract of some parasite, this is a highly intellectual endeavor that focuses heavily on biochemistry and astronomy. 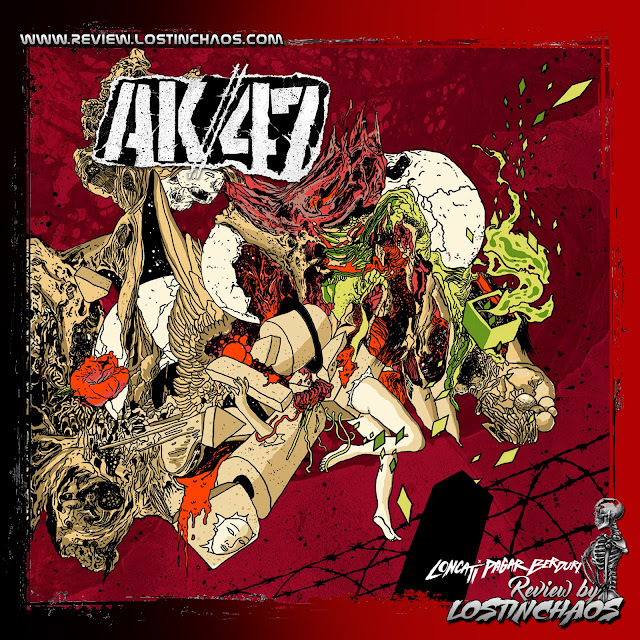 Fans Brutal Death Metal Complex dynamic super complicated?? What are you waiting deh? BRUSH THIS ALBUM SOON!!! BUY OR DIE if you feel like it; otherwise do not worry Because you can probably live without this.